Loring Air Force Base in Maine was the closest base in the continental United States to the Soviet Union east of the Urals, to Europe and to the Middle East. Loring was a megabase, with enormous capacity, second in all of SAC. It had two runways, and only two other SAC bases had two runways. It had the largest capacity for weapon storage and for fuel storage in all of SAC. It had the most operational flexibility or the greatest expansion for the future beyond the turn of the century of the three SAC bases in the Northeast. It also had the best geostrategic location. 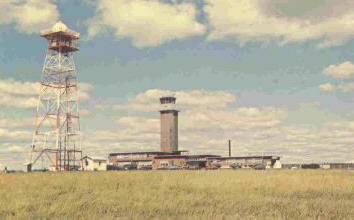 Loring AFB was built in the 1950's to accommodate 100 B-36 bombers. Consequently, its ramps, parking areas, weapons storage, and fuel storage capacities all far exceed later requirements. Its overall capacity ranked second among all 21 SAC bases. This capacity, coupled with strategic location, provided defense planners with unparalleled flexibility for future expansion. Loring AFB was one of only three SAC bases which have two fully capable runways. The second runway was completed in 1985. Ramp space exceeds 1.1 million square yards. It ranks 2nd among all SAC bases in total ramp space and 1st in excess ramp space. Weapons storage capacity was 10,247,882 NEW (Net Explosive Weight)--the highest in all of SAC. Plattsburgh AFB, NY has less than 28% of Loring AFB's weapons storage capacity. Further, Loring AFB was one of two fully capable conventional weapons storage facilities in CONUS maintained by SAC. This facility represented a significant warfighting capability. Loring AFB ranks 1st in all of SAC in fuel storage capacity (9,193,374 gallons). The nearest SAC base to Loring AFB, Plattsburgh AFB, NY, has less than 35% of Loring AFB's fuel storage capacity. At 14,300 acres, Loring AFB was the 2nd largest base in SAC. There was ample space to accommodate any number of new missions and there is no threat of encroachment from the surrounding community. Loring AFB played a pivotal role in the conduct of Desert Shield/Desert Storm, and in the return of U.S. forces from the Persian Gulf. During the contingency, Loring AFB bombers fought from forward bases, and some Loring AFB tankers supported the effort from forward bases. Tankers operating from Loring AFB served as force multipliers by refueling bombers, transports and fighters transiting the North Atlantic to the Persian Gulf. Loring AFB also provided a last-chance opportunity for maintenance, crew rest or ground refueling before crossing the ocean. During the return of personnel and equipment from Desert Storm, Loring AFB's location again advantaged the effort. Tankers from the base were vital to the safe transit of the Atlantic, and permitted many aircraft to proceed non-stop to their destinations. As the nation's most northeastern military facility, Loring AFB also played a vital role for many aircraft that could not safely continue to their destinations. Numerous transport, fighter and bomber aircraft returning from the Persian Gulf landed at Loring AFB for maintenance, ground refueling, or personnel services. Between August 2, 1990 and May 10, 1991 more than 1,700 aircraft in transit to or from Desert Shield/Desert Storm made technical or refueling stops at Loring AFB. These included C-141, C-5, C-130, C-21, A-4, A-10, Boeing 707, F-16, F/A-18, F-111, P-3, TR-1, U-2, B-52, KC-10, KC-135, E-3A, EA-6B, and E-8A aircraft. 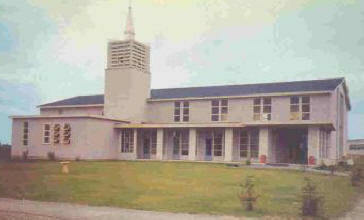 Below: Base Ops - 1960 and 1990. Did the tower shrink? Loring's air space was unencumbered, in contrast to every other SAC base in the Northeast. CERT (Conventional Enhanced Release Training) is a bombing range located adjacent to the runway on which B-52's can drop practice ordnance. Loring AFB was one of only four (4) SAC bases that had a CERT. A major Low Level training area entry point lies just 165 miles from Loring AFB. This area contains several alternative routes and training opportunities, and provides varied training options throughout the year. The preponderance of bombing and navigation training is accomplished during Low Level flight activity. While Loring AFB's location was ideal for wartime, it had the disadvantage of being far from the western Strategic Training Route Complex (STRC), and the Nevada and Utah bombing ranges--the only U.S. ranges where B-52's may drop live munitions. Since SAC training requirements only require crews to drop ordnance on these ranges twice a year, this is a relatively minor inconvenience. Far more frequent training is conducted in the Low Level route structure adjacent to Loring AFB and on the CERT which is located at Loring AFB. Furthermore, since all eastern based B-52's must fly several hours to reach the STRC and live bombing ranges this problem is not unique to Loring AFB. Originally constructed to accommodate B-36 bombers, Loring AFB was sited to take advantage of Maine's proximity to Europe and the Soviet Union. Situated at the tip of the 600 mile New England promontory, Loring AFB is the closest continental U.S. (CONUS) base to virtually every potential conflict area east of the United States. Loring AFB straddled the primary great circle route for the entire eastern half of the United States to Europe, the Soviet Union, the Middle East, and the Persian Gulf. As the `last stop' along that route, Loring AFB was ideally situated to provide tanker support in both wartime and peacetime operations. 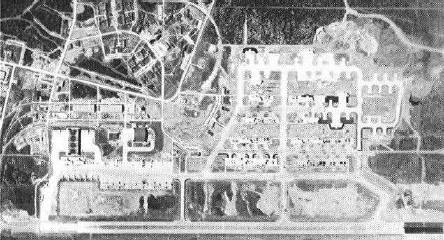 Loring AFB was first targeted for closure in 1976. The Air Force's primary rationale at that time was the poor condition of Loring AFB's facilities. In 1976 it was estimated that Loring AFB needed up to $300 million in facilities' improvements. Between 1976 and 1979 considerable debate took place over the strategic importance of Loring AFB resulting in a reversal of the Air Force decision to close the base. 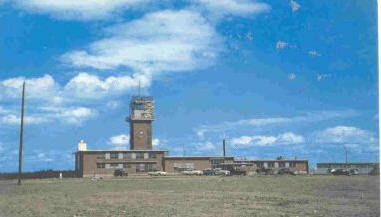 When the decision to keep Loring AFB open was made in 1979, the Congress committed itself to upgrading the base facilities. Since 1981, nearly $300 million in military construction and operations and maintenance (O&M) funds have been spent to upgrade the facilities at Loring AFB. In 1991 the Secretary of Defense, upon the recommendation of the Secretary of the Air Force, identified six Strategic Air Command (SAC) bases for closure. 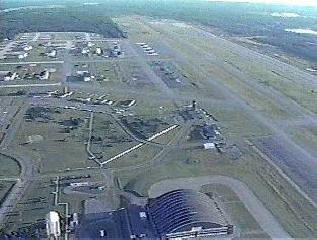 Loring Air Force Base, in Limestone Maine, was one of the six bases on the closure list. Bridget Reeder Westhoven, bridget@westhoven.net former Captain, USAF, was the Public Affairs officer at Loring from Jul '91- Sep '93. She wrote, "The official base closure date was September 30, 1994. Although the bombers left before final closure, they were there well past the 1991 date you cited. The announcement that the base would be closed came in 1991, but we continued to work and supported several major European exercises (both in the UK and Spain) after that. Also, we flew B-52G models, not H models."